4 - Closing Date: 23:59 on 04 July 2018. 6 - The Prize: Set of personalised Flint & Flame knives. 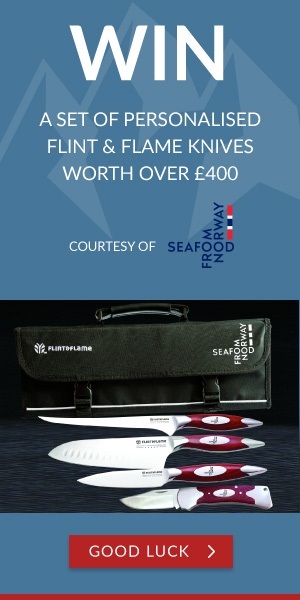 The Seafood Collection includes a 3” folding knife; a 3.5” paring knife; a 6” Santoku knife and a 7” fillet knife presented in a Flint & Flame knife roll bag.